It’s amazing it is amazing. Pebble Beach, the Concours d’Elegance and all the grand old iron, used to be about that, old iron. Granted, it was good stuff, but of every day, it was still supposed to be about old cars. Not so this, year, it seems as Audi had its share of intros and other automakers managed to bring their iron so they could show off what was coming in 2020 and beyond. So, here’s the low down for gearheads – or maybe not – the winner of Pebble Beach, the Best in Show, is still an antique. In this case, it is an Alfa, but, when you look at it, the images are pristine, and the owners are super happy that their two-door took “Best in Show” honors. Dave and Ginny Sydorick were more than a little pleased to take home Best of Show honors for their Alfa Romeo 8C 2900B Touring Berlinetta. It was 1937. Looking at the car from safe distances – owners are funny about folks touching their vehicles and given the fact that most handprints are decidedly acidic, who can blame them – the two-door could have rolled out of the factory and headed to the showroom floor. It is just that good. So, it looks as if the right car received the right award at the right show. Indeed, Pebble Beach is preeminent old-car site and winning Best in Show is, well pardon the ricing allusion, winning the Derby, the Preakness, and the Belmont or for racing, the 24-Hours of LeMans, Monaco, and the Indy 500 at the Brickyard. This particular Alfa is no stranger to the spotlight and, of course, it had the Sydorick’s very happy with the result. “It’s the World Cup. It’s beyond Best in Show. It’s fantastic,” said a very pleased Sydorick exclaimed. The Sydorick’s Alfa has had quite a life. Indeed, this isn’t the first time it was the limelight. The first time, though, dated from 1937 when it first broke through. It made a debut at the 1937 Auto Salon. Later that year, it made it to Milan. 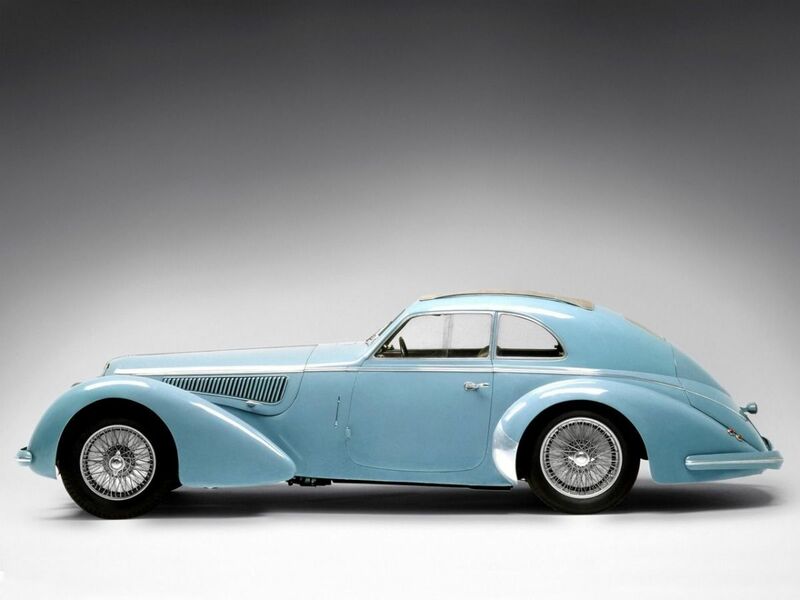 Finishing what could be a European Triple – of sorts – the Alfa debuted at then 1938 Berlin show.